Many individuals have pieces of diamond jewelry that have come to them with little or no paperwork. This makes it nearly impossible for a consumer to know their fine jewelry’s characteristics, and thus its value. It is important to know the basic characteristics of the diamonds in your jewelry in order to accurately value them. These defining characteristics including: cut, color, clarity and carat weight, are what determines the value of your diamond. Diamond jewelry evaluations and diamond appraisals are not exactly the same thing. MJ Gabel believes that you should not have to pay for simply knowing the information about your fine diamond jewelry. 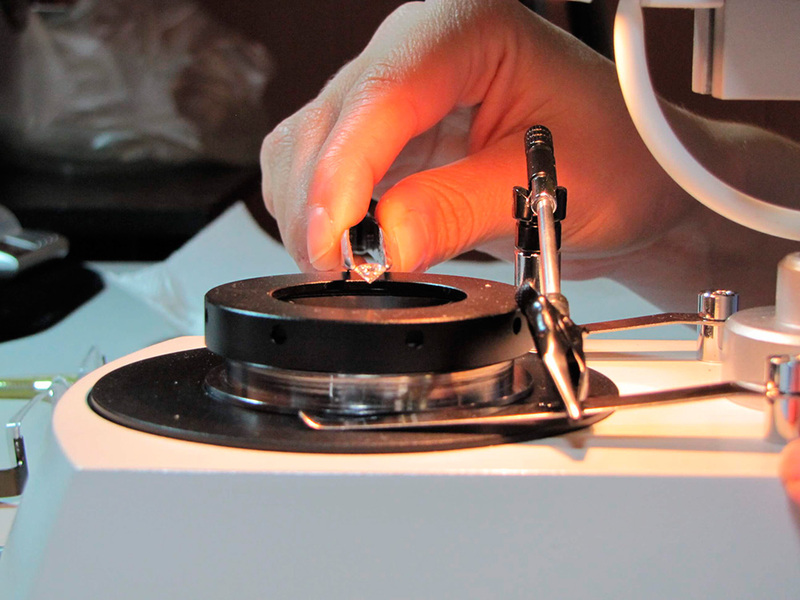 We make it available to clients free of charge in the form of a Diamond Evaluation. Most jewelers only offer this information in the form of a written appraisal. Appraisals vary in price, but can range anywhere from $150-$500, and are for insurance purposes – not general knowledge. Our specialists are GIA graduates thus uniquely suited to help you understand what your diamond is worth by utilizing our diamond evaluations program. Of course if you need a written diamond jewelry appraisal, we would be happy to help you. Learn more by visiting our appraisal page. Let us help you become an educated consumer: One who will now be armed with the knowledge of what your diamond’s characteristics are and what it means to you when you sell your diamond. I was extremely skeptical of trusting this organization and send my rings via mail. I initiated the conversation with Anne and found her to be very professional, knowledgeable and responsive. I then did some research and reached out to the BBB and saw they were in very good standing. From there, I continued to work with Anne through the process until I recently sold my ring. Along the way, we created a strong and trusting relationship. I trusted her advice and found the whole experience to be very positive. I would strongly recommend and trust this organization to anyone who is looking to sell your jewelry. Thank you Anne. Ask about any associated selling fees up front.